Hi there! My name is Eden, and I am the designer and maker behind Edenki. 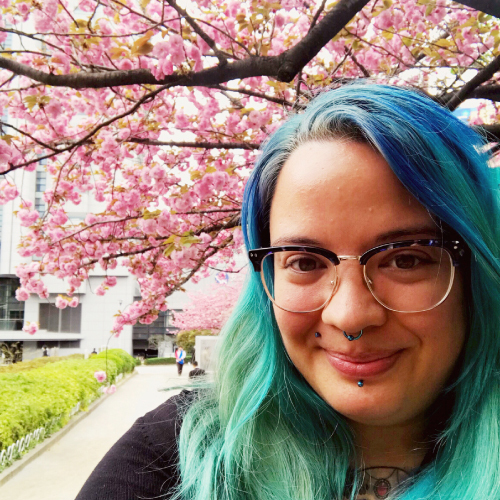 I'm Australian, but I moved to Japan in early 2018 to pursue a long held desire of mine - to learn another language! Edenki is a made up word – a combination of my name and the first couple of letters of my middle name. I like that it is both a part of me, but not me at the same time. It ended up looking a bit Japanese, so I pronounce it that way in my head (eh-den-key); I don't mind how you pronounce it though! 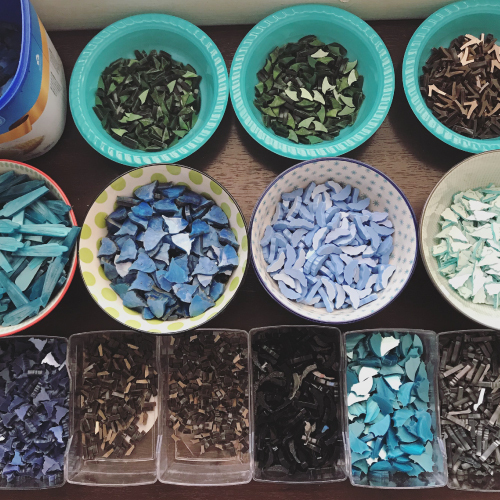 I love to play and experiment with different materials – I collect specialty acrylics such as coloured mirrors, glitter, iridescent, pearl, and solid pastel acrylics appear a lot. I tend to hoard them as well, just like quilters and dressmakers who have overflowing fabric stashes! It's a compulsion, I can't help it! And, speaking of contrast: I also love to make bird brooches??? 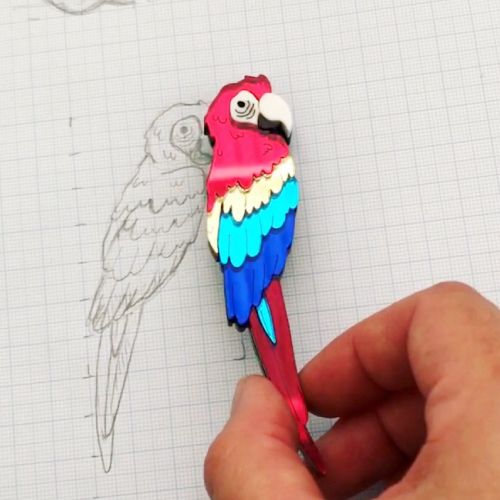 😂😂It all started when I made a Scarlet Macaw for my Mum for Mother's day - I was really stoked with how it came out, and posted a video of it to a Facebook brooch group I'd been stalking, because I loved seeing all the beautiful brooches (and awesome acrylics!) in my feed. Mum loved it of course, and the response from the wonderful brooch group was so strong that I decided to open up a few orders. I set a max of 50, and they sold out in an hour!